As a general rule, I hate conference calls. It’s an impersonal setting in which it can be difficult to discern emotion. No eye contact, no facial reactions, no body language. 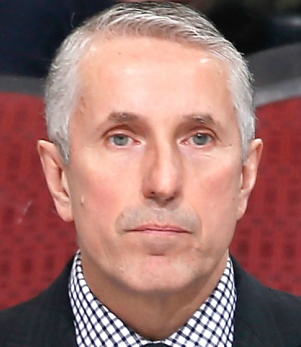 But there are exceptions, such as Wednesday afternoon’s call with Bob Hartley. Fired by the Calgary Flames on Tuesday after four years as head coach, Hartley is genuinely disappointed. He stated it repeatedly and you could feel it over the phone. He leaves behind unfinished business and he’s truly saddened that he won’t have the chance to continue his work with a team he views as not far away from becoming a legit Stanley Cup contender. Hartley’s record over his four years was 134-135-25. Just like his previous two NHL stops in Colorado and Atlanta, he makes it through four full seasons, but not through a fifth. 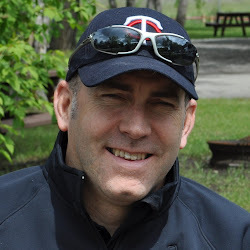 Unlike the first two times he was let go, he didn’t even get a chance to start a fifth season in Calgary. Hartley says the developmental strides players have taken, even if did not correlate to enough victories last season, will ultimately pay off. He singled out several players, whose careers are on the rise. While last year’s 20-point regression is what’s fresh on the minds of Flames fans, not to be overlooked is the job he did in transitioning the team from an aging, mediocre, cap-constrained team going nowhere to a young team with a bright future. You tend to forget that his first year was the lockout shortened 2012-13 season that was also the last year in a Calgary jersey for Jarome Iginla, Jay Bouwmeester and Miikka Kiprusoff. Three significant pieces. What Hartley established along the way was a new culture based on a blue collar work ethic that fans embraced. Going to the Saddledome become fun again as Calgary became a team easy to root for because despite a disparity in talent, they never, ever gave up. Short on skill but long on effort, if they were going to lose, it wasn't going to be without a fight to the finish. 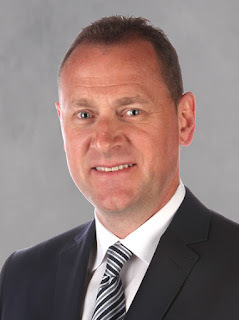 Asked about philosophical differences that may have existed between himself and general manager Brad Treliving, perhaps around style of play, Hartley says that he was not aware of any such divide. Hartley said the struggles of both the power play and penalty killing were partially due to how many young players were on both units. As he did on exit day, he also reiterated the role poor faceoff percentage played, especially on the penalty kill. Make no mistake, Hartley wants to keep coaching. This is not someone that has any plans to take any time away from the game. If it’s up to him, anyway. “Coaching is my passion. Coaching is in my blood. There's no doubt that I want to coach. I'm only 55 years old and I believe that I'm in great shape. I love this game, I love teaching. I love competing to win hockey games,” he said. 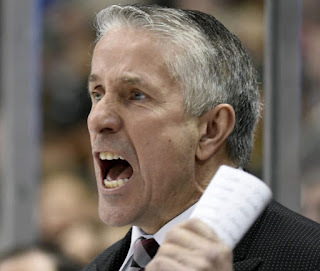 With coaching vacancies currently in Anaheim, Ottawa and Minnesota, you can bet he’ll get himself an interview or two. Reflecting back, last year’s playoff run that saw Calgary make the playoffs for the first time in six years, then knock off Vancouver for their first series win since 2004, stood out as an obvious highlight. Shortly after getting the news, Hartley had a long day of travel. He said it gave him plenty of time to contemplate the day’s events. It’s a cruel reality in sports that so often, by the time the work put in by a coach or general manager comes to fruition, that person has moved on. Often not by their choice. Perhaps in his next gig, Hartley will get a chance to do the opposite for a change. Be the guy that comes in after someone else has put in thankless years developing a young core, and be the guy that gets the glory for taking them to that next level. It would only seem fair.